The cap is made of an olive green shade 107 wind resistant cotton poplin cloth. The earlap lining is made of wool/cotton flannel cloth. 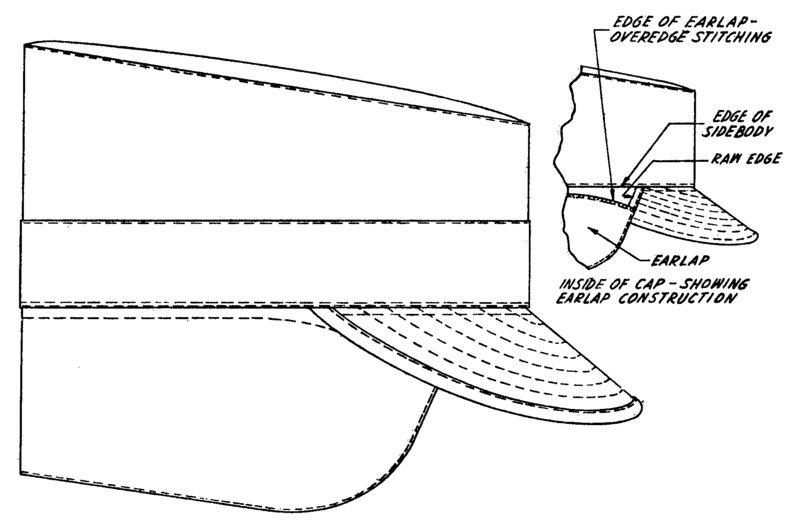 Cold Weather Cap as a component of the cold-wet/cold-dry clothing system. The same basic design cap in woodland camouflage pattern was reintroduced for wear with the temperate weather battle dress uniform.